Raise a glass to the Bard and toast to the Hamlet you thought you knew! 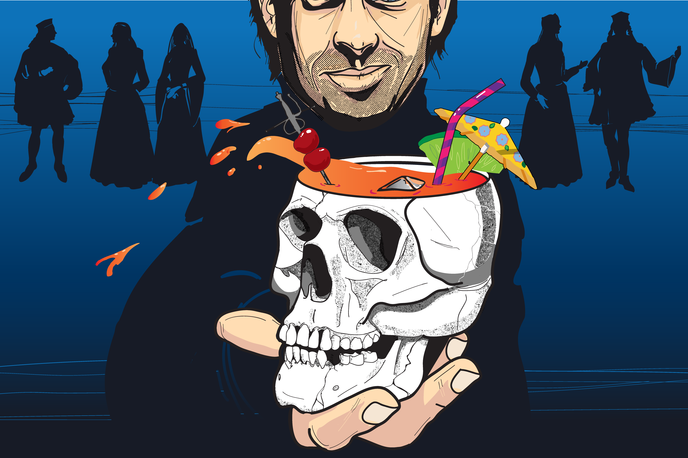 You’ve seen and read Shakespeare before, but what happens when Hamlet has a little too much to drink before swooning audiences with prose? Prepare yourself as part of the cast begins by consuming enough shots to trip even the most well-trained tongue. The show’s spirited content also gives a certain liberty to you, the audience; who become participants in the outlandish festivities. This Hamlet offers considerably more fun than the Shakespeare you studied in school, worth experiencing not just to watch performers get hammered, but to watch a cast juggle so many balls so cleverly to keep the story on track to that epic final scene.